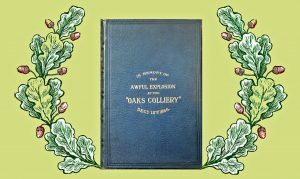 The ‘Oaks Bibles’ as they have come to be known were proposed by G W Atkinson the Secretary to the Oaks Colliery Explosion Subscription Relief Fund on 11 March 1872. Mr Atkinson remembered the veneration that his mother had in relation to a bible given to her as a child known as ‘Lord Wharton’s Bible’. Philip, fourth Lord Wharton, came from a staunch Christian family. He was well-educated and well-travelled. During the Civil War he supported Parliament but opposed the execution of King Charles the first. He welcomed King Charles the Second at the Restoration and later became a Privy Councillor to King William the Third. Six years before his death, Lord Wharton began distributing Bibles to children, and in his will he left 463 acres of land to fund the continuation of this work. The Trustees of Lord Wharton’s Charity continue to follow his wishes by distributing Bibles to children and young people so that they can be encouraged to use it for their own personal study. The Bibles were given to ‘each child who either has been (if living), or is now, a charge upon the fund’. 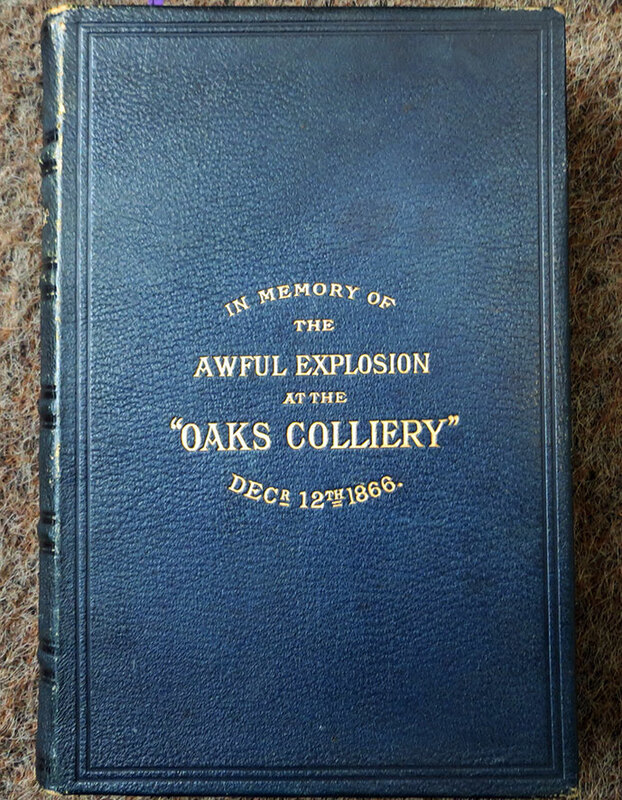 “The Gift of The Oaks Explosion Subscription Relief Fund Committee to (son or daughter) born (date) in memory of the terrible explosion at the Oaks Colliery, near, Barnsley, on Wednesday 12th December,1866, in which (his or her) father , and 359 others, men and boys, lost their lives. President, the Rt. Hon. Earl Fitzwilliam, K.G. The Bibles are bound in morocco leather and are considered to be a collectable item.